Relax in our Atlanta showroom and meander through our extensive collection of wicker, aluminum, wrought, iron, wood and polymer outdoor furniture. Peruse our Atlanta patio furniture showroom today! Don’t be hassled by a commissioned staff and partner with a furniture store that has your best interest in mind! Shopping for patio furniture can seem like a chore. Not only is your free time being taken up, but it’s being spent trying to decide on this and that when really you just want to relax. At Parr’s Furniture, we help you take pause and create an experience that is informative, realxing, and short but sweet! Find the best colleciton of patio furniture in our Atlanta showroom today! Why choose Parr’s Furniture when there is an abundance of big box stores? 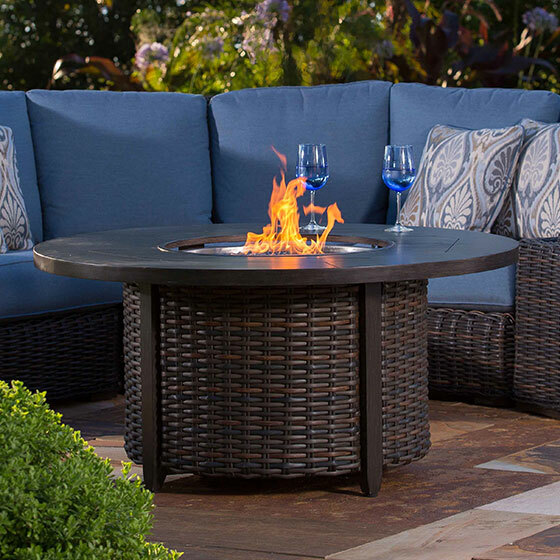 Find the leading patio furniture for all of your outdoor spaces at Parr’s Furniture in Atlanta! At Parr’s furniture in Atlanta, we understand that time is precious and we want you to get the most out of your patio furniture shopping. With a staff that is dedicated to you (and not commissions), we can help you find exactly what you’re looking for. Nothing is better than a shopping experience where you are able to go in, look at a few pieces and peruse the showroom, only to meet up with an employee who knows the inventory and can lead you in the right direction to walking away with patio furniture that you’re going to enjoy season after season! Find out more about our patio furniture below. From modern to elegant, we have a vast collection of aluminum patio furniture waiting to be explored! Each piece is rustproof to withstand the weather and can be customized with Sunbrella fabrics to add both a keen aesthetic and furniture that will last year in and year out. Our wrought iron patio furniture frames stand behind a 15-year frame warranty and come in a variety of styles — you’ll have no problem picking out the perfect set. Get structural strength and durability among style and beauty in our wrought iron collection. Marine grade polymer (MPG) isn’t found in every outdoor furniture collection, but it is in ours! Find material that will not splinter, swell, rot, splinter, or fade when exposed to everything mother nature might throw your way! Our patio furniture goes beyond the big box stores — with staff who are dedicated to helping you find exactly what you need and patio furniture in a wide array of styles, colors, and materials, the choice is always Parr’s Furniture!